Check out this new highlight reel of former Mott Community College guard Demetrius “Meechie” Miller at Metro State in Denver. The Desmond Ferguson Basketball Clinic, was founded by Mr. Desmond Ferguson as an avenue to give back to his beloved hometown of Lansing, Michigan by providing a free, three-day, summer basketball clinic for todays youth. Mr.
Lapeer West’s Cullen Turczyn was among the top performers at the Camp Darryl/Bankhoops Classic in Lansing over the weekend. I had heard about this young man, but this was my first opportunity to watch him play. Although not flashy, his poise and control at the point guard position for this team made me understand why they had won 25 straight games this spring/summer. They came up a bit short, surprisingly losing in the finals to Camp Darryl- North, but Malik impressed me. I have seen this kid a bunch this summer and he has left impressions several times. This past weekend though, he showed me some ability to carry his team. His offensive motor runs very high, but he will need to improve it on the defensive end. 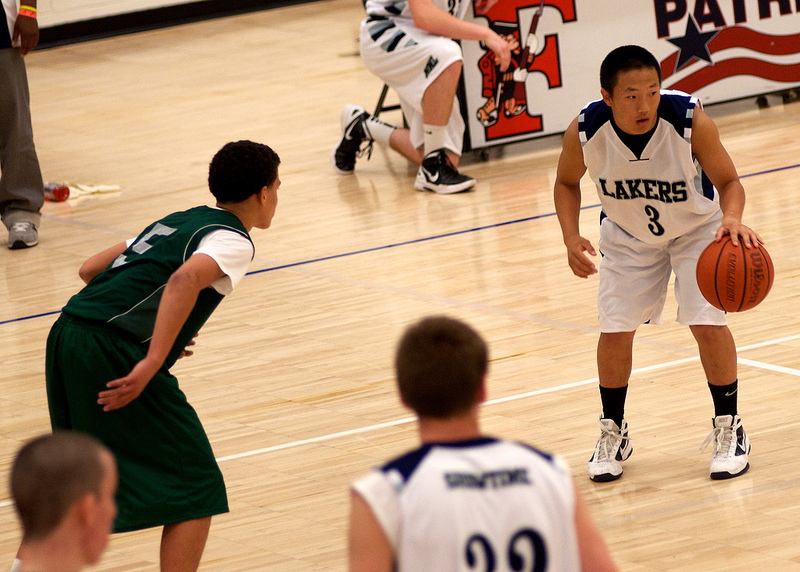 Offensively, he will knock down the three and beat his guy off the dribble finishing in traffic. I’m sure there are bigger and better things to come. Without their big man that had been playing all summer, Jalon stepped up big time. 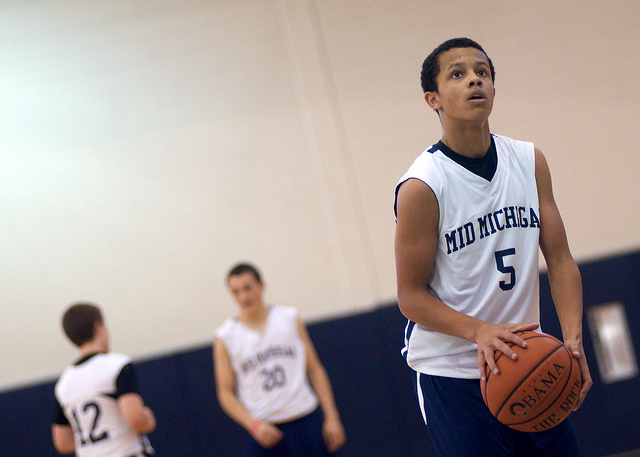 Scoring 24 in their toughest pool game (and it wasn’t that tough) versus the Mid Michigan Lakers and 34 in the championship game versus Camp Darryl told the tale. He is what I describe as someone who is not a shooter, but can shoot. When he gets hot, look out! Just ask Camp Darryl…He was named MVP and all tournament team as well. Mott sophomore Walter Davis, among the MCCAA’s top defensive players and athletes, will sign with Florida A&M University. Walter Davis has a feel-good story that he can share with quite a few Mott Community College basketball players of the past. Davis, an athletic 6-4 forward from Memphis, came to Flint two years ago after Mott head coach Steve Schmidt saw him play while recruiting point guard Darryl “Boo” Marshall. Schmidt thought Davis could be an impact player at the JUCO level, even though the feeling was not shared by many (he wasn’t recruited much, if at all, out of high school). Fast forward two years and Davis is leaving Mott with a degree and a chance to play at the D-1 level. Soon, he will sign with Florida A&M University. The Rattlers compete in the MEAC. Schmidt calls Davis “the true definition of a student-athlete” and for good reason. He finished his career at Mott with a 3.4 grade point average. 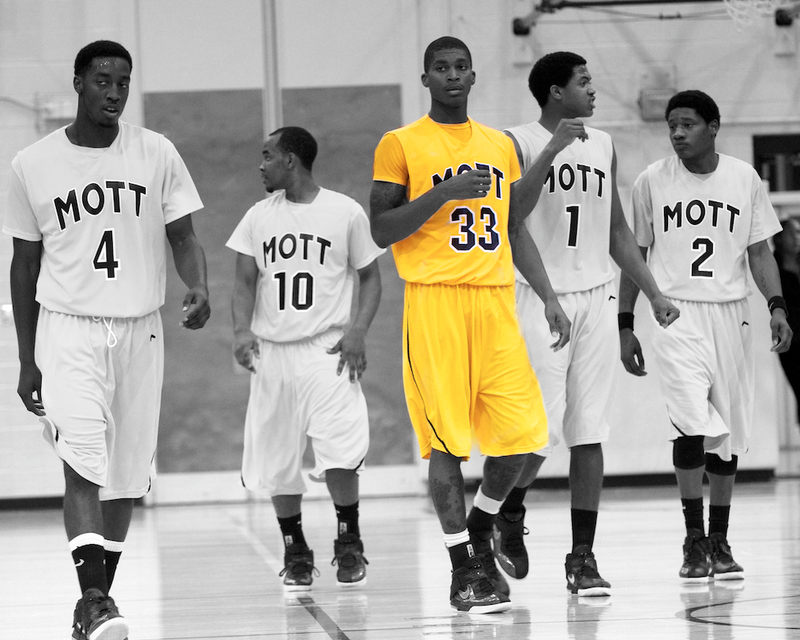 On the court, he averaged eight points, nine rebounds and three blocks per game in helping Mott to the program’s fourth national championship. Davis was among the top defensive players in the state as a sophomore and arguably the MCCAA’s most electrifying athlete. The West squad walked away with a 123-103 victory over the East squad at the National JUCO All-Star game in Las Vegas over the weekend. The East team was paced by Mott’s John Taylor, who led all scorers with 26 points on 9-for-16 shooting including four three-pointers. Mott head coach Steve Schmidt was also invited to the game, for players at all levels of JUCO basketball, to coach the East squad. Now it’s back to the recruiting trail for Schmidt. On Saturday, Mott sophomore John Taylor, winner of the National Player of the Year Award, will lead the East squad in the National All-Star Game at the Orleans Arena in Las Vegas. Steve Schmidt, who won the National Coach of the Year Award after a 35-1 record and a fourth national championship, will coach the team. Several Mott players of the recent past have played in this game, including Jeremie Simmons and Kevin Tiggs. Click here to see the full rosters. I didn’t notice this until I got home from the Michigan Warriors Jamfest over the weekend. Our players were competing with a Barack Obama basketball. I’ve been following basketball a long time, but this is certainly a first. Would Mitt Romney’s ball be the money ball? I never get tired of watching dunks. The University of Detroit is going to be really fun to watch this season.